Dusky 227's step V hull and hard chine line not only make her a high riding, dry craft but also allow you to challenge the fishing grounds comfortably. 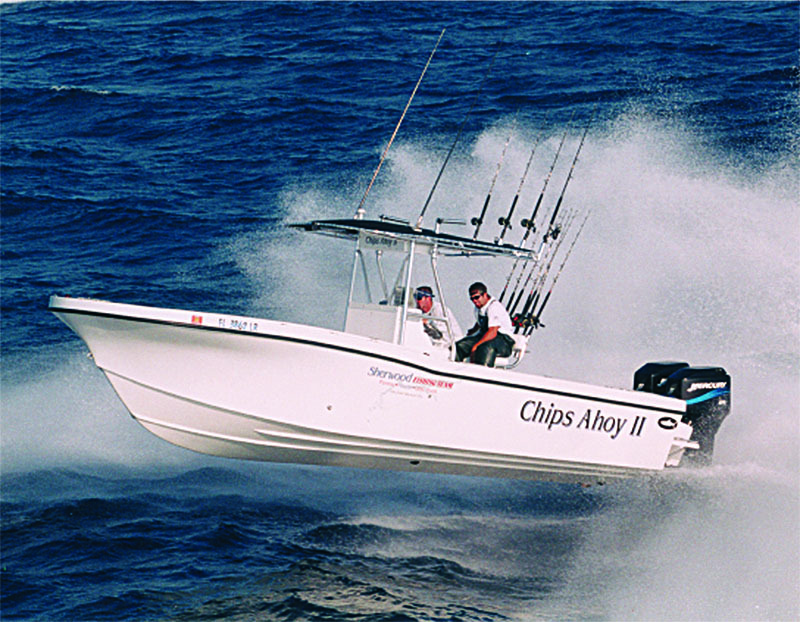 The Dusky 278 is a rugged center console, the ultimate offshore fishing machine and the choice of serious fishermen everywhere. The Dusky 218 RL is perfect for use as a back country boat, water skiing boat, bay boat and offshore boat. 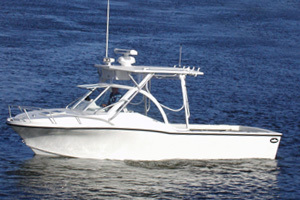 Dusky boats are custom designed to meet your boating needs, whatever they may be. OLD GRIFFIN ROAD WILL BE CLOSED BEGINNING JANUARY 21, 2019 AND WILL REMAIN CLOSED THROUGH APRIL 30, 2019. IT IS SCHEDULED TO REOPEN ON MAY 1, 2019. ACCESS DUSKY MARINE VIA STIRLING ROAD ONLY. 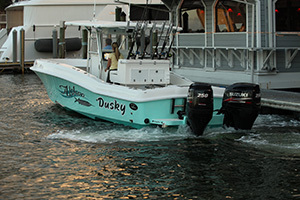 Welcome aboard DUSKY MARINE, the home of custom built sport fishing boats. Since 1967, DUSKY MARINE has been a family success story; an enduring partnership in family and boat-building craftsmanship. All Duskys are custom built boats. Our extensive boat options list lets you customize your boat to your exact specifications. Every legendary Dusky boat hull is individually produced with more hand-laid fiberglass than any other boat in its class. Whether you need a tournament ready rig, a functional bluewater fishing machine, or a practical walkaround cabin boat, the Dusky factory is ready to accommodate your dreams. All Duskys are available with a wide variety of powerplants from Evinrude and Suzuki. 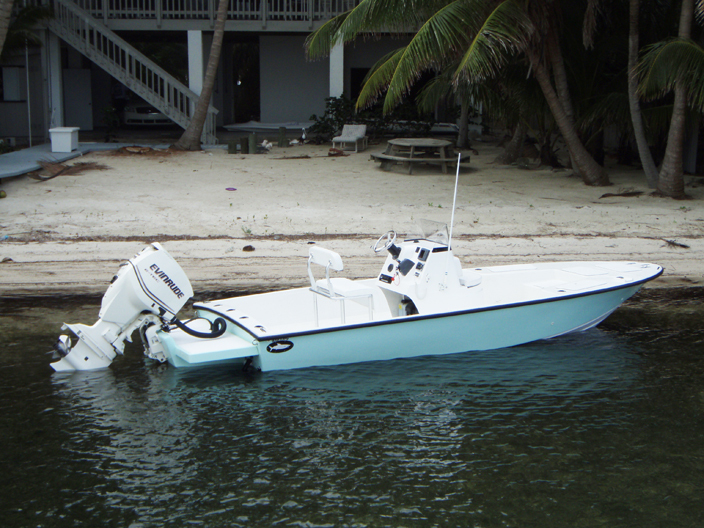 Inboard diesels are available on our 252, 278, and 33 boat models. Dusky's one-on-one client/builder relationship has created a new, extended family of satisfied boat owners and skippers around the world. Buy factory direct from Dusky and get the boat you want at a price you can afford. Factory direct means more boat for less cost. We hope you join the Dusky fleet of loyal boat owners. It is indeed a very special family.